Breathtaking views from this well maintained 3/2 custom home. 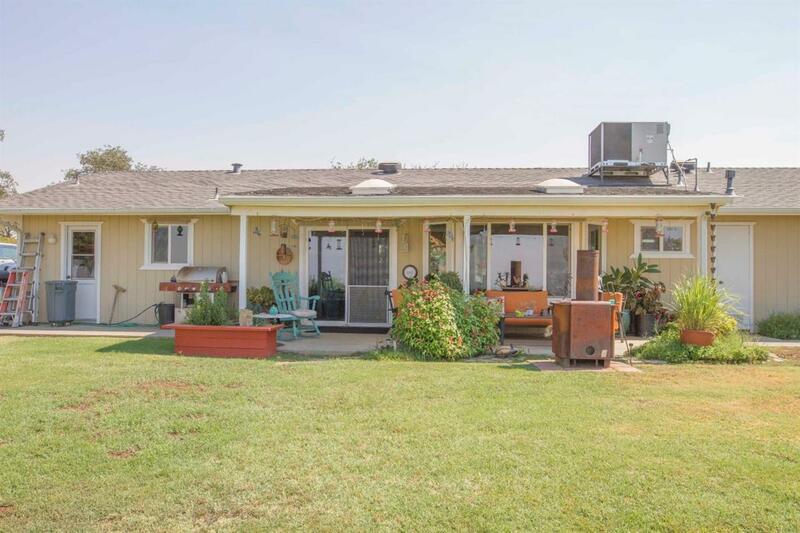 This beautiful home is just minutes from HWY 180 making an easy commute to the Central Valley, as well as Sequoia/Kings Canyon. Enjoy a nicely developed, well fenced property with a plethora of features, including nearly panoramic views of Sierra peaks, Big Baldy, city lights, and the coastal range, spacious attached and detached garages, tall chain link fence around entire property, lush green lawn, various fruit and citrus and nut trees, raised garden beds, automatic watering, paved drive, deluxe chicken coops, storage buildings, and a good well. The home is in great shape with an open floor plan, plenty of storage, upgraded HVAC, covered patio, open patio, rain gutters, newer dual pane windows, and more. This property is suitable for, and has been used for horses. This is a rare opportunity to own a very special property, do not hesitate to make your dream home a reality. Listing provided courtesy of Billy Lovewell of London Properties, Ltd..